Is Your life at the centre of Your money or Your money at the centre of Your life? Discover how to plan your money around your life not your life around your money! Our Bellwether 360° service is a “One Stop” Lifestyle Financial Planning service which organises client’s affairs bringing clarity, reassurance and expert ongoing guidance to achieve their lifestyle goals. Our personal service delivers peace of mind and gives you confidence that your best interests are always being served. 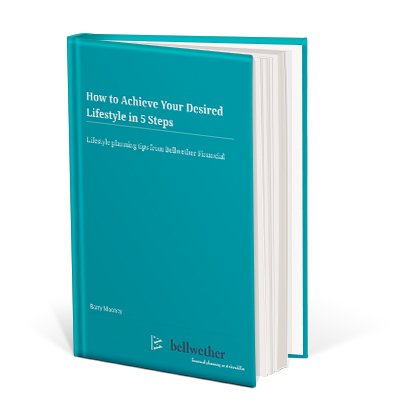 Enter your details below and get a copy of How to Achieve Your Desired Lifestyle in 5 Steps ebook.